Newcastle need seven points from the next five games. | NUFC Blog. Actually, I would prefer Newcastle to be walking away from the next five games with fifteen points in the bag, but being realistic it just isn’t going to happen. So how do you think we will do? 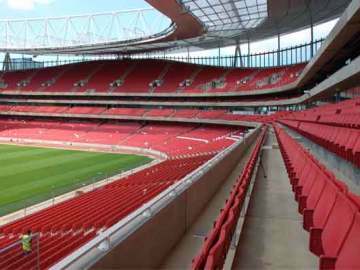 Next up for United is a trip to The Emirates on Sunday, and whilst I harbour some slim hopes of us being able to take something from the game, there is a very real prospect that we could end up losing, like most teams do when they visit Arsenal. I’ve got the match down as a loss on my little season planner of where I think we can pick up points from, but as many of you know, my predictions, so it seems, are not the best. Following on from Arsenal we have two games at home. First up is Blackburn next Wednesday evening, a team who appear hold a voodoo card over us and always seem to be able to get results against us. Sam Allardyce will be itching to get one over us and prove to the world what a fantastic manager he is. He tells anyone who will listen to how great he is often enough, and a win on his old stomping ground, playing his “brand” of football will no doubt pull the auto-inflate cord on his ego again. I have us down for three points for that match, but it won’t be easy. Then Fulham come to St James’ Park, in another game that won’t be easy. I also have this down as three points for Newcastle, but Fulham, as I write this, appear to be on a decent run as Mark Hughes looks to be building on the hard work that his predecessor, Roy Hodgson, put in before him. After two home games, and hopefully six points, Newcastle are back on the road again with a visit to The Reebok Stadium to take on Bolton Wanderers. Owen Coyle has his team playing some decent stuff but has ensured that his team remain hard to beat. I would like us to get a point from this one as it is highly likely that Bolton will be one of the teams in that lower part of the table, the part where I think we will be. November draws to a close with a home match against Chelsea, who are arguably the most impressive team in the Premier League at the minute. They win games at a canter and can get stuck in when they need to and dig deep to get a result. I have this one down as loss on my little planner, but with us being at home I would hope for a different outcome. If my predictions could be fulfilled then we will find ourselves on 21 points having played only 15 games, which is fantastic going given what our minimum aim for the season is. Ba boom boom boom – Demba’s hat-trick finishes off Blackburn. Match report. Nolan returns to his old stomping ground. You’d expect us to win both home games, but I bet we don’t. By the same token I wouldn’t be at all surprised if we managed to pick up the odd unexpected point at either Chelsea or Arsenal. Sorry – we have 3 home games. I meant the 2 against Blackburn and Fulham as the “winnable” ones. I would expect us to beat Fulham as they will play a bit. Blackburn will sit back and we might struggle to break them down as we have at home this season. I actually think we could well beat Bolton as again they will attack us at their place and we’re pretty good on the counter. Stuart makes a good point, but is anyone surprised at how good we are on the counter given our relative lack of pace? i will take 7 points out of 15 right now if offered. At the start of the season I would have been happy with 21 point at Xmas, so if we can achieve this points total by the end of this month I think we will be well on the way to survival. I would be more than happy with 9 points. 6 at a push.. It has been rare for games to pan out as we expected them to this season. It would be typical of our season to squeak a result at the emirates then get beaten by Blackburn on Wednesday. I do feel like we can give anybody a game though! It’s more due to our ‘lack of pace’ that we can’t break teams down. Cos when it’s congested we haven’t got someone super quick that can whizz pass the last defender & get the cross in. If players are taking up good positions, when we counter that’s more important than raw pace. toonsy – counter attacking has as much to do with your speed of passing as it does the pace of your players (as illustrated rather cheesily in the first Goal film where the coach shows whatshisface that the ball is always faster than the man). Possible topic for a future thread, Willo v Saylor? With Saylor’s impending return who do the fans prefer at the moments? 7 would be a great number over these 5 games. A point at arsenal would start us off flying though, and then who knows. Our passing has been so much better than in recent history, I think that’s the reason for our newfound ability to counter, and their work rate. Tiote, Jonas, Jose, and Andy seem tireless. mate, just do what you did, but without a space between the semi-colon & the close parenthesis. I hosted it on my band website so tell me what u think! Keep all the big lads on the pitch v a very short assed arsenal team. & attack, no standing about waiting for them to take over. yes lads u make good points about are lack of pace…put this 2 u..how about becasue..jonas amobia nolan and carrol are 2 footed and dont have to check back on thier better foot..their for players who do lose that chance to score when in good postions and by doing that lose that chance..being 2 footed allows us 2 go both ways..
Asim – Carroll is far from two-footed mate. He is left-only I’m afraid. His right leg is for standing only. that’s it mate, get in. what’s with the km thing, we deal in miles mate? toonsy – bit harsh mate. Carroll might as well not have a foot on the bottom of his right leg. Cheers Ice, I hope so too mate. The next article is ready by the way and is scheduled for mid-day in case I’m not back. toonsy he may play a lot with his left foot..but he can play and use his right foot…if he wonted 2..
Have you walked the pooch this morning? Arsenal are saving Cesc for our game on Sunday and resting him today, which means the odds will be firmly stacked against us. He makes their team come alive and we won’t benefit from the same fortune West Brom did when he was out injured. If CH remains positive and sticks with 4-4-2 then the world is our lobster or crayfish or whatever ? Not to tempt fate but I reckon a JB red card might be a good bet on Sunday. There’s obviously quite a bit of bad blood between him and the Arse and the last time he faced them he looked like a man possessed – and that was only for 5 mins. Toonsy i had a similar feeling as you yesterday about ben arfa having played his last game for newcastle. but reading some reports today those feelings have now gone. i believe he will be a NUFC players for atleast couple more years. The gooners will target Barton, no doubt. West Brom would have had their a**e handed to them if Arsenal’s captain was on the pitch. good points lads..also believe that tiote has made us a better team..due to the fact..we had to bridge the gap..from central to forward..and tiote allows nolan and the rest to go forward..with smith or how ever being their made us sit..becasue they were then getting over run when they lost the ball..they couldnt get back..said from the start of the season if we got enough of the ball to carrol we would score for fun..no defence will cope with us full stop..teams playing us will be thinking how to stop carrol..which allows us more room to move..what a change a year makes.. I think 5 point, from the 3 games we are in with a chance of a result, is more likely – Arsenal and Chelsea are “write-offs” for me. Anyway, if we beat any team it’s only because they’ve played badly, remember. We’ve won 4 PL games and each time the manager and commentators have gone on about how bad the other team were (Villa, West Ham, Everton, Slumberland) – so clearly to win any more games means we have to be “lucky” and play a team that happens to be awful against us. like i said earlier in the week, i don’t like to concede games, and i like to go after every match, and while i think we can get a result at arse, it is more likely that we won’t. The blackburn match however is one we should win, but if the squad is too fatigued after the arse game, or still carrying knocks, then we could drop points to blackburn. I’d rather come away from those 2 games with 3 points rather than 1 or 2. It’s hard to play your best off 2 days rest. So like i said, i don’t like to concede matches but just tryin to be sensible. Think we should save jonas, andy and joey for blackburn. Its actually surprising how much money Ashley let Allardyce waste, He spend nigh on £30m on Rozenhal, Smith, Faye, Barton, Beye and Jose on big wages, Brought in Cacapa, Geremi and Viduka on freebies on £50k+ a week, 30 odd members of coaching and medical staff, the majority were employed by Bolton so they paid compo and their wages. What I really like about this club is that it is playing “smash mouth” football. Take the ball to the net, no dilly=dallying around looking for that last little pretty pass. This will not impress Fabio C, but it does impress the opponents, and there is little they can do to stop the assaults unless they can play keep away for 90 minutes. t It is a mystery to me how many points NUFC will get in November, but I feel they will compete in every game and there will be no heads down after a loss. I’m happy with that, mate. Plaudits are worthless and just bring pressure. I will be happy for us to be branded the club that were “lucky” to stay up because “other teams were so poor”. All that matters is we stay up. Point taken and I agree our best chance of a result against arsenal is commit a lot of bodies to our counter attack. The way to beat Arsenal is too outscore them. I know it is much harder than it sounds, but we have 3 or so players in rich scoring form and their defence is one we can definitely get at. I can’t imagine Koscielny, Djourou or even Squillaci keeping us quiet for 90mins. If we are clinical we can get something, but I don’t see it happening. The problem is with a 5 man midfield is that, as we did last season, after you nab a goal, the common thing to do is to sit back and take the preasure. Can we do that against Arsnal? No, I don’t think we can, they will break us down. The 442 is playing to our strengths so I say TAKE IT TO THEM! CC I think FMA was given the proverbial fait accompli by Shepherd and he had no choice but to go along with Allardyce’s plans as he had barely got his feet under the table. Ironically had he brought in Harry Redknapp then who knows ? Play arsenal, don’t let them play us. But in all,if we can get 24points by year-end,that would be very good imo. Aside from all the benefits mentioned above for a 4-4-2 formation. It’s also important for us to field as many ‘natural finishers’ as possible. Carroll can 100% be relied upon for workrate, hustling, imposing, link up, but not necessarily finishing clear cut chances on the deck. Shola’s inclusion is important just on the basis of ‘if don’t score they will create openings for the other one to do so’. Carroll just has to put the same effort in, like he did v the smb’s & he’ll be sweet. Shola still has that little extra when it comes to skill. So should be in the team. It’s not real football anyway, is it? has anyone seen the advert which some1 put in the chronicle the night.. its mint..
honestly mates with that string of fixture if we pull 7 points from battle it would be brilliant. blackburn at home we have to beat, they are not as good as us on paper and we are at sjp, no reason we dont put them to the sword. fulham is a top half team. no disgrace to drop points at home to them but i think we are better then they are and anything less then a draw is shite. we have to lock dempsey down in that game to win. bolton at the reebok is a tough game but again i feel we have the better side and should take all three points but little piggy is probly more likely. chelsea at home is just as tough as arsenal away. if we can get a point off one of those fixtures i would claim it a success. i think 7 points is possible even 9 is reasonable but 5 is more likely. anything less then 5 outta the next 5 would be a disappointment. As long as we don’t concede early in the match, and get the all important 1st and 2nd goal, I think we would easily get 7-12 points in these next 5 games.